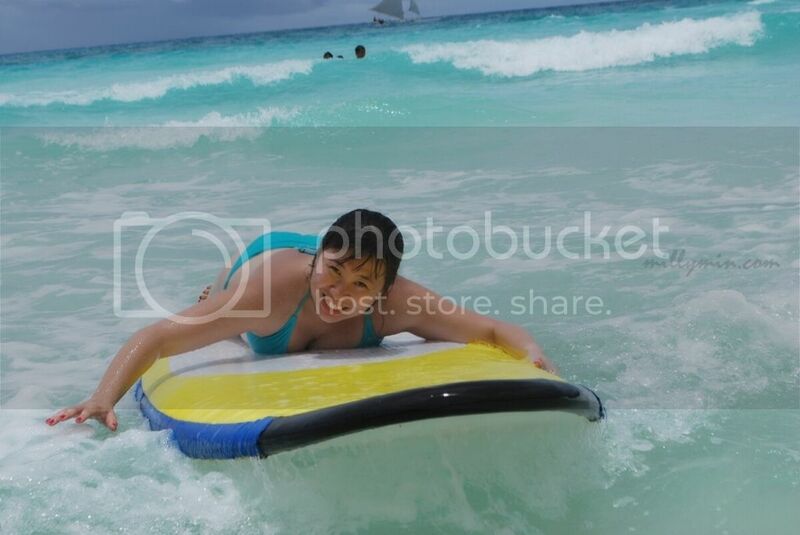 Never thought I will end up surfing in Boracay. I always think its not my kinda game but I figured that I enjoyed it much when I got a hang of it. I was briefed on how to surf. Obviously I didn’t manage to capture much from what he told me cuz of his accent. For the first time, I put in so much concentration cuz I wanna do it right the first time! Okaylah … easy peasy. Just that the expression a lil’ drastic. … and I shall reveal my super burnt back! A friend whom I have not met for four years. Four years later, she brings me surfing! The part which I don’t like that much, going against the waves. I know right, I end up with tiring-sore arms. 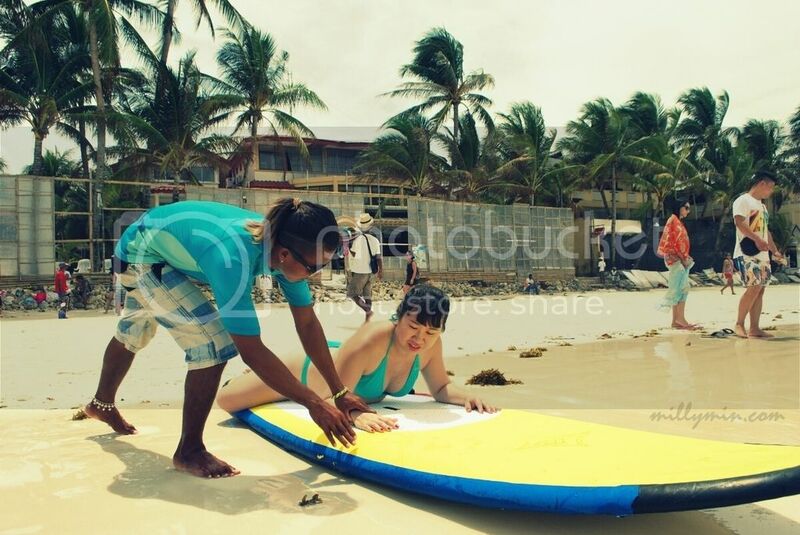 Surfing in Boracay is not expensive. 1 hour cost us 500 peso and we managed to split by taking 30 minutes per pax. Hence, 250 peso per pax. Dirt cheap eh! Anyway, I don’t think any of you need to stress much on which water sports equipment rental service to go to as there are a lot of different ones along the stretch of white beach offering the same water sports activities. Topping up the fact that its pretty competitive, the prices will not be differ much or perhaps similar. Hence, all you need is to select your favourite spot! 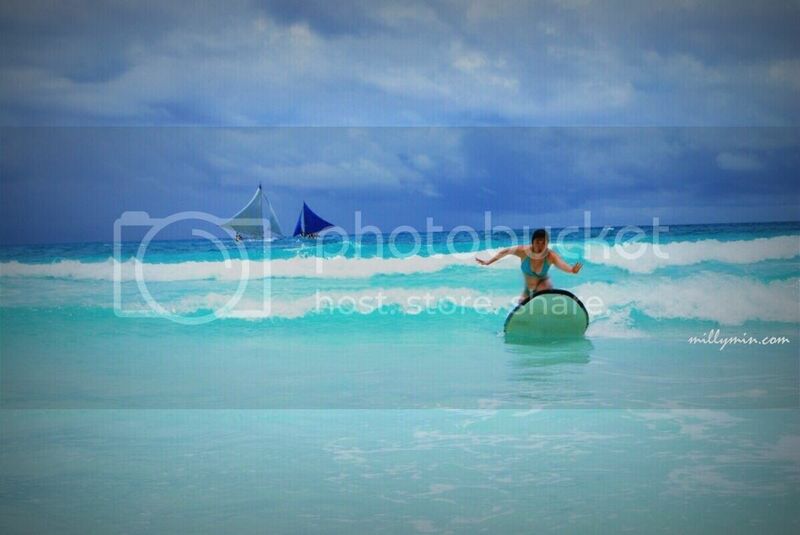 This entry was posted in backpacking, Boracay, Philippines, travel, vacation and tagged Boracay, surfing. Bookmark the permalink.